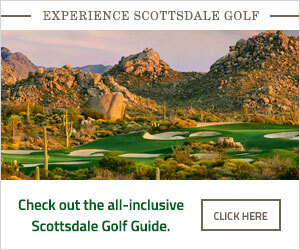 The 18-hole "Country Club" course at the The Country Club At DC Ranch facility in Scottsdale, Arizona features 6,888 yards of golf from the longest tees for a par of 71. The course rating is 73 and it has a slope rating of 133 on Bermuda grass. Designed by Scott Miller/(R)John Fought, ASGCA/Tom Lehman, the Country Club golf course opened in 2002. Contact Country Club at DC Ranch at 480-342-7200 for more information and details on holding a golf outing at the course. Contact Country Club at DC Ranch at 480-342-7200. Contact Country Club at DC Ranch at 480-342-7200 for onsite or nearby dining options. This profile was last updated on 09/26/2018 and has been viewed 7,467 times.